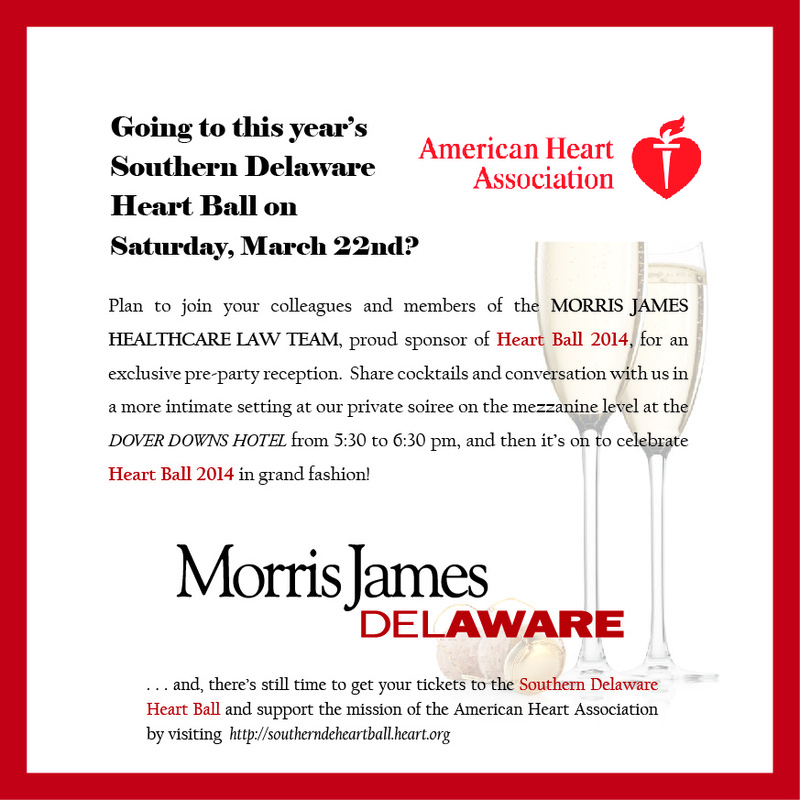 Morris James Southern Heart Ball Exclusive Pre-Party - RSVP Now! If you would like to attend the Morris James pre-party at the Dover Downs Hotel on the mezzanine level from 5:30 pm to 6:30 pm, please contact Bruce Tigani, Esq. at btigani@morrisjames.com or 302.888.6962 or Beth B. Miller, Esq. at bmiller@morrisjames.com or 302.678.4373. This private soiree is RSVP only! We look forward to seeing all of our friends at the party, and meeting new friends as well!